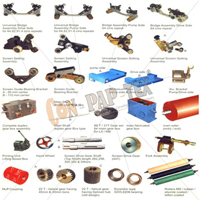 Con-Pap-Tex is a Company Promoted by Experts & Technocrats having more than 30 Years of Experience in Rotary Printing Machine, and Rotary Printing Machine Part. Also in the Field of Flexible Printing & Packaging, Converting, Paper, Jute, Tarpaulins, HDPE Woven Sacks, Textile, Carpet, Leather, Technical Textile, Steel, Plywood & Laminates and Tyre-Cord Industry. 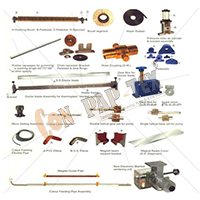 Con-Pap-Tex is a Group Company Promoted by Prestigious “KEW” Group which is World Renowned for its State of the Art Machinery & Equipments for above mentioned Industries. “KEW” Group has Won 5 Times National Awards & 2 Times International Awards for Quality Manufacturing of Machinery & Equipments. 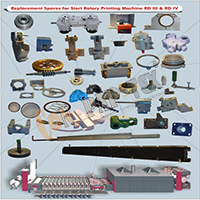 “KEW” Group is a leading Manufacturer & Exporter of all Sophisticated Machines for above Industries and is leading and one of the biggest suppliers to all big Converters, Paper Companies, Textile Processors & Tyre Companies in India & Abroad. Con-Pap-Tex is established with the sole objective of supplying World Class Equipments & Ancillary System for above Industries. It was a very conscious decision for “KEW” Group to establish a separate Company to concentrate on the Equipments Business and hence Con-Pap-Tex was established. The Sole of Objective of Con-Pap-Tex is to Manufacture, Export & Supply all types of Equipments under one Roof to each and every Customer of all above mentioned Industries. 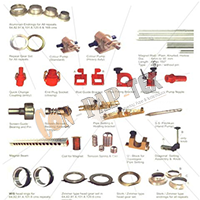 The Company also provides OEM Supply to Machinery Manufacturers all over the world.